We have changed how you order. 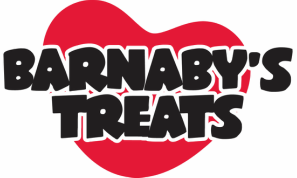 To order please send an email to Barnabystreats@gmail.com and we will contact you shortly. We apologize for any inconvenience this may cause. This treat is perfect for any size dog. Hand cut, they come in a variety of sizes but can easily broken into smaller pieces. ​This treat is best used as a training treat. Fresh Banana and Carrot will have your dog doing all kinds of tricks in order to get this treat! Comes in 3 sizes. The smallest size works great as a training treat! The perfect heart shape for the dog you love with all YOUR heart! Does your dogs breath make flowers wilt? With these treat you can help tackle that problem. 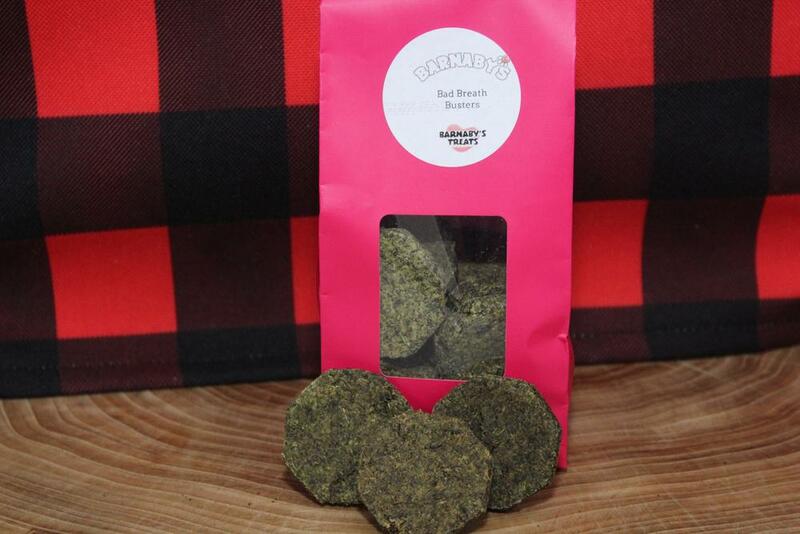 With parsley and mint this treat is sure to help freshen Fido's breath. 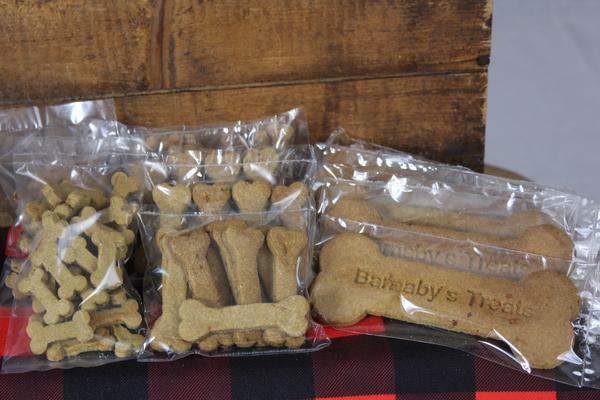 Choose any 3 of the Breath Busters, Cranberry hearts, Or Banana Carrot Bones for only $8.00! 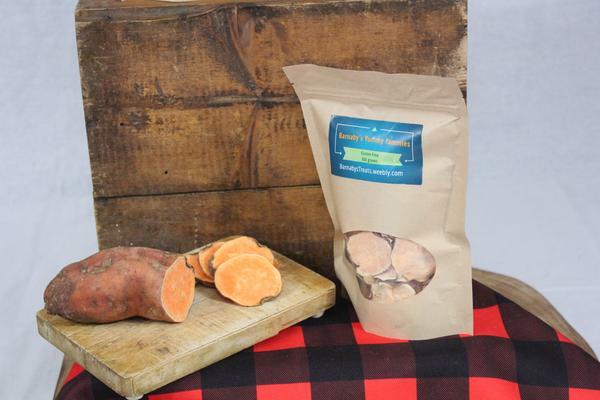 Fresh sweet potatoes dehydrated to make this wonderfully crunchy treats. Perfect for when you're having chips and Fido wants some too! 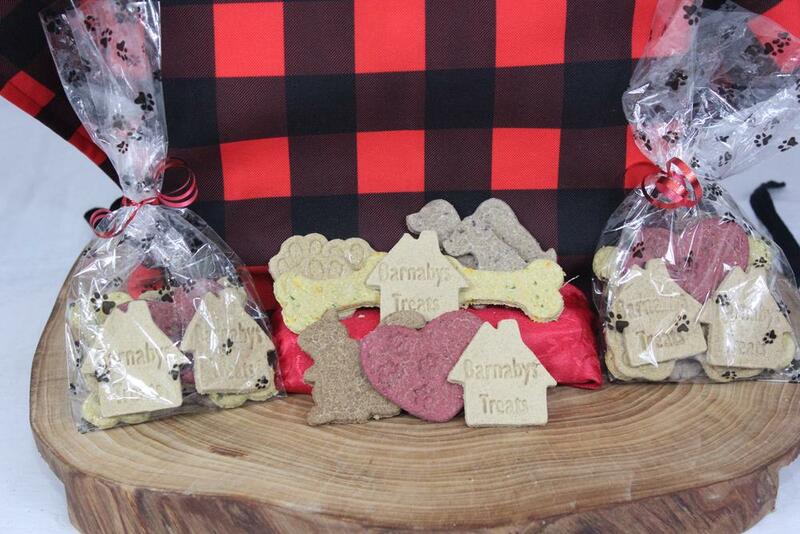 A wonderful assortment of biscuits in all shapes and flavours! This bag is bound to have something even the pickiest dog will love! 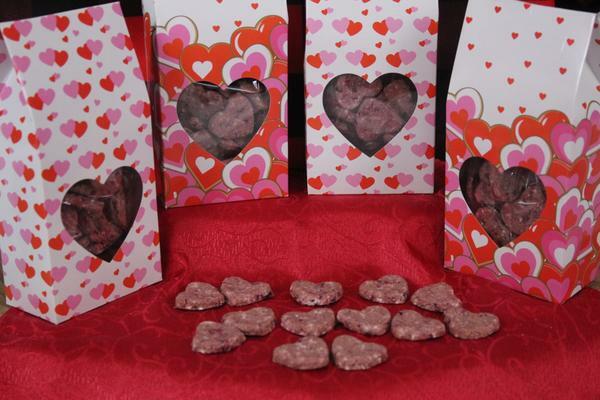 Made with beef or pork liver this treat is the gluten free version of our liver bites. 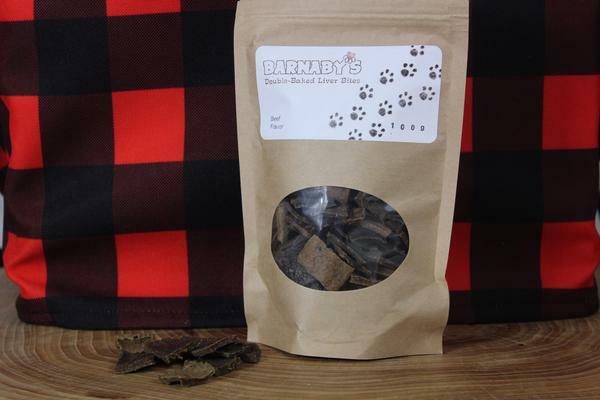 Designed for dogs with a gluten intolerance, but has gotten 2 paws up from every dog that has tasted them! This product is perfect for picky dogs who don't like to eat their food. Just sprinkle a bit on their food and watch them gobble it up!